When you arrive in Darjeeling the first thing you will notice is the truly invigorating mountain air and the uplifting aromas of thousands of acres of tea plantations. Then you'll open your eyes fully and all that air that you sucked in a minute ago is forced out of you by the fascinating, stunning and completely beautiful spectacle that is Darjeeling. This quaint hill station has become a sort of sanctuary in India, away from the rubbish, dirt and crowds. 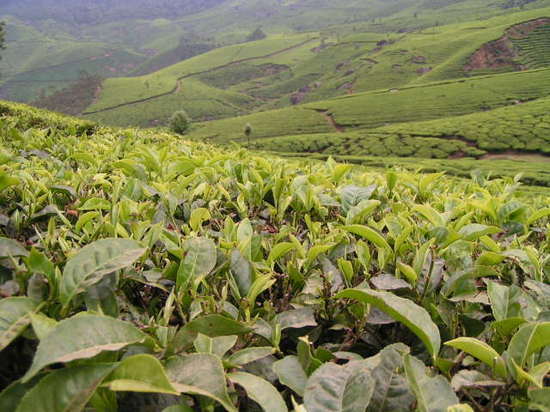 It's possible to walk for days around the tea plantations, following the little paths that wind and weave until you are under their spell completely . One of the best things to do in this naturally blessed location is walk up Tiger Hill and see the sunrise breaking out over the Himalayas and flooding the tea fields with light. Located at nearly 2100 metres above sea level the town is very high and the thin, crisp air makes it perfect for growing tea. It has always had an excellent reputation as one of the best hill stations in the world and for years it has provided people with peace and quiet and a great climate. Now, however, it is becoming popular for different reasons. 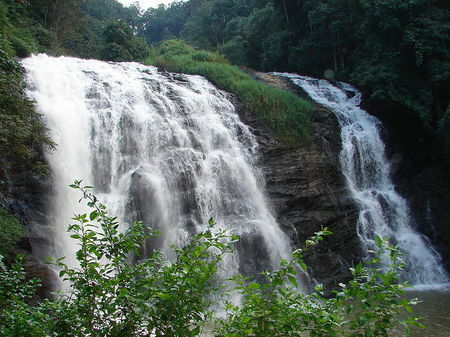 Adventure and thrill seekers are starting to discover it for its excellent trekking, rafting and biking. The town and surrounding areas were discovered by the British during their occupation of India and they soon turned into a holiday destination for the English families that lived there. The area was soon annexed as part of British India and a picturesque Victorian town was built, most of which remains today. The trekking is some of the most spectacular in the world and littered with steep cliffs, bubbling waterfalls, exotic wildlife, a magical atmosphere and stunning surroundings. You can stay in one of the many forest lodge guest houses that are in and around Darjeeling, however, you will have to get a special permit from West Bengal Forest Department. They are not hard to get hold of and probably well worth it. If you are only stopping over for a few days there are some really great places to stay. Budget accommodation is exactly that but it does not offer the same sort of value than elsewhere in India. I have listed a couple of midrange and top end hotels below. The Bellevue is a great place to stay with a cosy lounge, well decorated and furnished rooms and the best bit which is the rooftop terrace with its stunning views in every direction. The old guy who runs it used to work alongside the Dalai Lama and ageing pictures of them line the walls downstairs. Hotel Aliment is one of the best budget options here. It has recently been renovated and looks pretty good. There is hot water in the rooms but only in the morning and evening for a short time. It offers one of the best value hotels, at least, it's clean and all the rooms have good views. This beautiful location has a fantastic selection of hotels in a huge amount of situations and a huge amount of prices. Check out the rest! There are a great selection of things to do here. 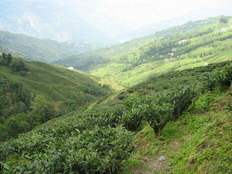 Whether you want a week long trek, do some shopping or just have a quiet spa session by yourself, Darjeeling has it all! Here is a list of some of the most popular things to do. Click on the relevant links for more information on certain activities. 1.) Go trekking. The town is nested in a beautiful area of the Bengal hills and the trekking is some of the most spectacular and beautiful in India. 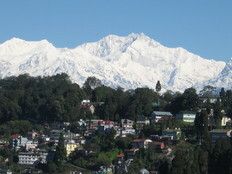 Click here for more information on trekking in Darjeeling. 2.) Go sightseeing. Darjeeling is steeped in history and mystery so even just a quick walk to the shop is full of wonder. So take a stroll up to Observatory Hill or down to the Chowastra, (the place where four roads meet). 3.) Take a trip on the toy train. In 1878 a train line was built from Calcutta to Siliguri and it wasn't long before the train line was extended and a small toy train took passengers up the hill to Darjeeling. 4.) Buy some tea. Darjeeling is known around the world for its famous tea so get your wallet out and buy some of the freshest tea you will ever drink. Makes a perfect drink! 6.) Go to Mirik. 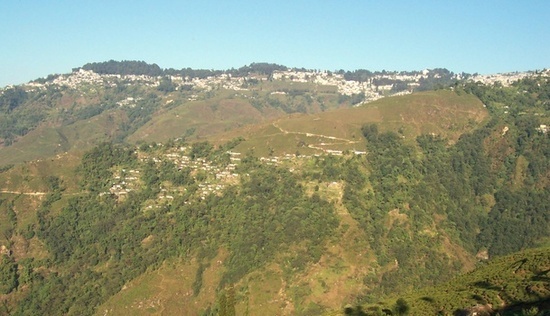 Mirik offers a great opportunity for a day trip. There are great views everywhere you go including that of K2. There is some good short walks and the possibility of boating, fishing and overnight accommodation if you like it that much! 7.) Climb Tiger Hill. Catch the train up to Ghoom and walk up to Tiger Lake and Tiger Hill which is one of the highest peaks in the area and a great place to see the sunset. Poking out between two other peaks is Mount Everest which can be seen clearly on most days. Well worth a visit! 8. )Padmaja Naidu Himalayan Zoological Park, is one of the most highly regarded zoos in India and was established in 1958 for the research and conservation of many Himalayan plants and animals. Also worth a visit. 9.) Whitewater rafting. White-water rafting is well established up here and reasonably safe as well. Ask in one of the tourism offices when you get there for more information. There are also some quality mountain biking trails being set up around Darjeeling. 10.) Learn to cook!. The owner of the Hot Stimulating Cafe offer informal Indian cookery classes for a low price. The closest airport is Bagdogra which is about 100 km South of the hill station. There are a few flights a day to some of the major cities in India including, of course, Calcutta, Delhi, Chennai and Mumbai. Jalpaiguri is the closest train station to Darjeeling and can be reached by most cities in India although most will require a few changes before you get there. Places like Calcutta have direct trains to Jalpaiguri and Siliguri which is another option. 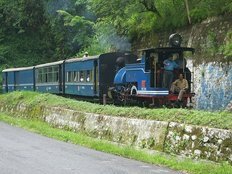 One thing that is a must whether going up or down is a ride on the toy train which goes from Siliguri to Darjeeling and passes through some beautiful scenery. Buses and 4x4s laden with people leave the stations every half an hour or you can hire a private taxi which will cost around 500-800 rupees. 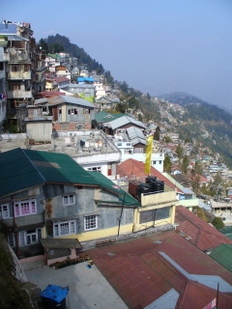 There are also loads of buses to and from Mirik, Gangtok, Sikkim and Kalimpong and lots of other small places. Sometimes it just nice to get on the first but you see and go for a drive, see where you end up. It's not really necessary to leave the area for anything. There are some good and reasonably clean medical services, internet cafes, cash machines and banks, bookshops, a post office and travel agencies where you can cash your travellers cheques. It's worth zooming out a few times on this map, it will give you a bigger picture of Darjeeling and its location.